IT was the largest peacetime explosion in Australian history - a 56 tonne ammonium nitrate blast so severe it was heard for kilometres. 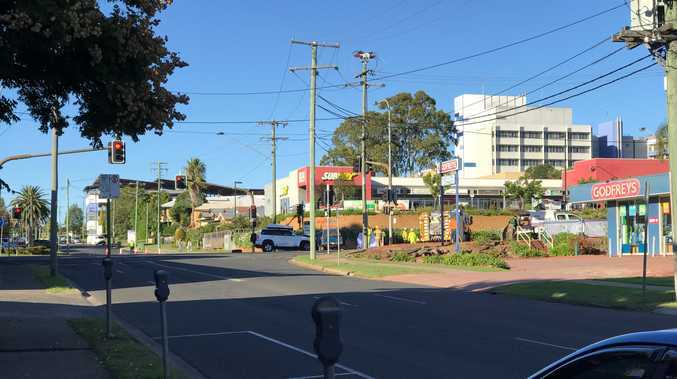 Right in the thick of it was a humble Senior Sergeant who now calls Mackay home. 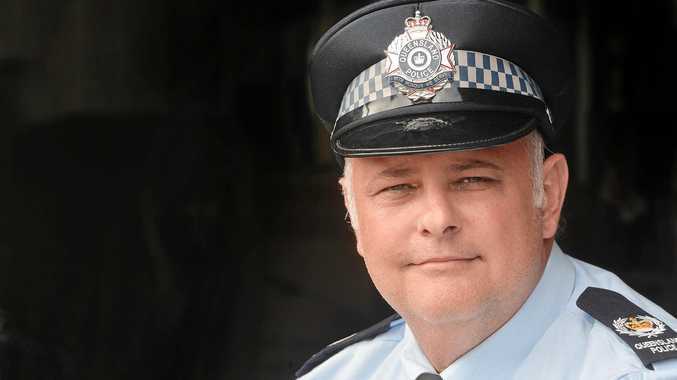 Adrian Rieck, officer in charge of Mackay Northern Beaches police, helped rescue firefighters and civilians trapped amongst the devastation of the B-double truck detonation about 30km south of Charleville about 10am on September 5, 2014. Accordingly, three years on the 43-year-old and his colleagues have been awarded for their bravery. The Governor of Queensland Paul de Jersey presented Snt Sgt Rieck with the Australian Commendation for Brave Conduct and joint Australian Group Citation for Bravery on Wednesday in Cairns. 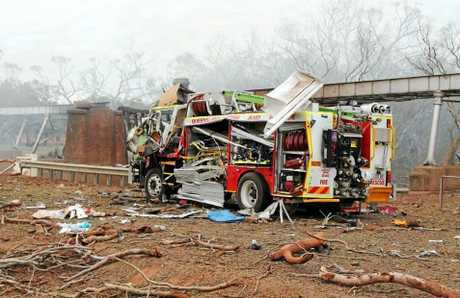 While Snr Sgt Rieck might consider the recognition "slightly embarrassing", it's clear he and the team he led saw hell on Earth that day, in the horrifying aftermath of the Angellala Creek explosion. "Unfortunately, the B-double truck was involved in a traffic crash ... that truck caught on fire and four fire officers and three members of the public had gone to do their job, attend to the accident," he said. "That 56 tonne of nitrate exploded. That caused catastrophic damage to the highway. 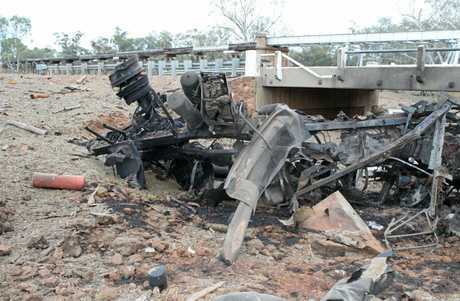 It completely vaporised a bridge, the road, the truck. "My first response officers began rescue ... myself and other colleagues attended soon afterwards." Describing the flames licking around wreckage and toxic smoke hanging in the air, Snr Sgt Rieck said the "war zone" didn't stop him "taking control of the situation". "We did everything we could to provide first aid and extricate them as soon as possible. The risk of another explosion was quite high," he said. "And then we got a (2km) exclusion zone in place. Over the next couple of weeks we ran a massive police and emergency services operation, securing the scene, rendering it safe, clean-up and rehabilitation." Snr Sgt Rieck said two of his officers, Sen Const Kenric Head and Sergeant Mark Everitt, ran into the flames "whilst it was exploding" to rescue people. "I nominated them for awards. I don't take any individual credit for what happened, as much as I was managing the situation," he said. "We had about 20 emergency services personell who mucked in and did the best we could. And we had no satellite phone, no mobile coverage. We were isolated and did what we had to do. "It was certainly an interesting night. It was all purely instinctive. It's our job to put ourselves in harms way. "But I would be lying if I didn't say it was extremely intense and confronting." Eight people were injured in the Angellala Creek explosion, but thanks to Snr Sgt Rieck and emergency services colleagues, no one was killed.